Maine Coastline and Acadia National Park | ¿Qué Onda Guero? We were fortunate last week to be able to take a trip out to the northeast coast. 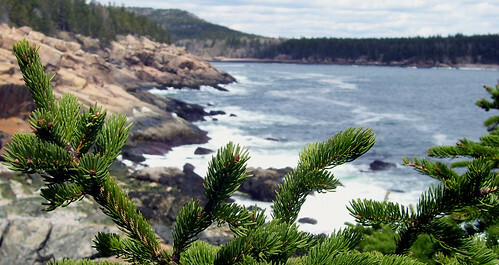 Specifically, Acadia National Park in Bar Harbor, Maine. The photo below links to the set on Flickr. We camped for four days at Blackwoods Campground in Otter Creek. The weather decided to be all gray and rainy on Friday, so we headed out on a mini roadtrip. Lubec is as far east as you can go in the United States. 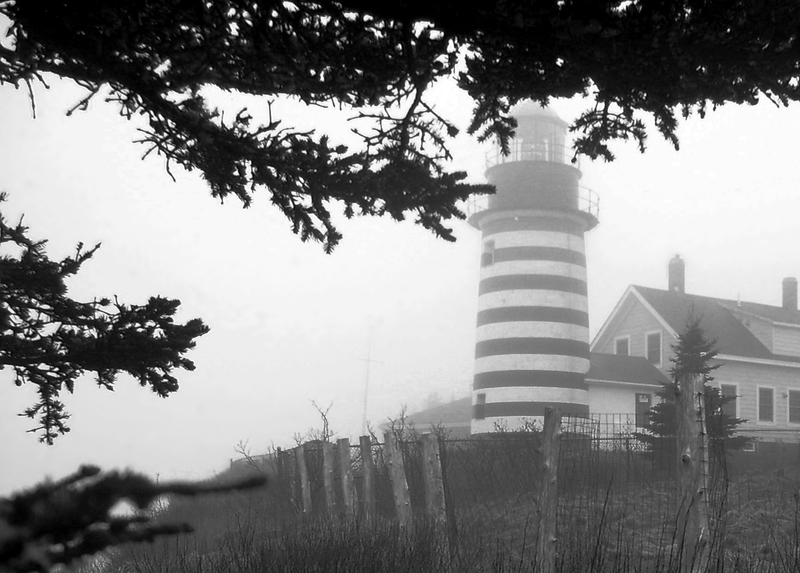 West Quoddy Head Lighthouse in Lubec is billed as “the beginning of America”. My dinky point and shoot just wasn’t happy at all with the dense fog and clouds but I did the best I could. This entry was posted on Friday, May 8th, 2009 at 4:05 am	and posted in Uncategorized. You can follow any responses to this entry through the RSS 2.0 feed.